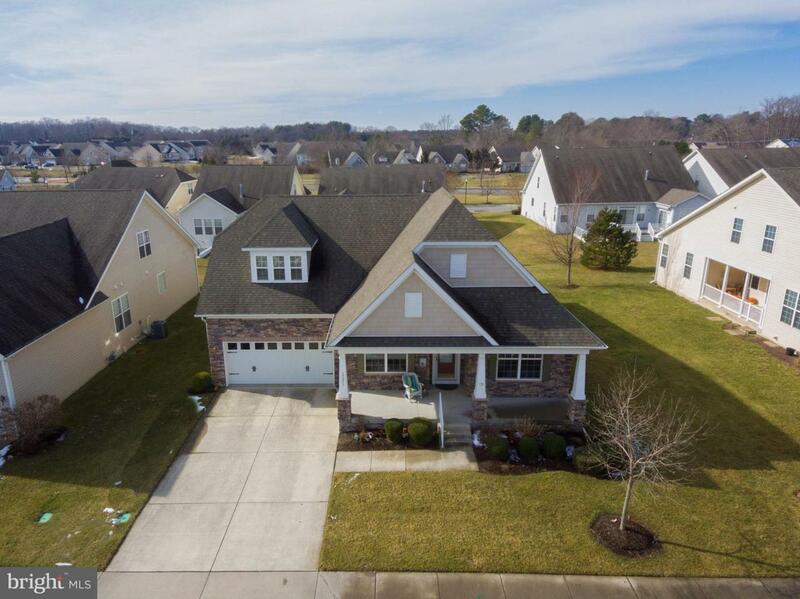 Use your imagination with this 3 bedroom, 3 bath home Plus a Bonus Room and full basement! This immaculate, move-in ready Jasmine model offers an abundance of space for all your friends and family! Beautiful hardwood floors, an oversized sunroom, the two-sided fireplace and stone front create the perfect ambiance! If you don't need a dining room, turn this room into a "coffee room" where you can look out the windows on the front porch and watch the world go by! Or turn the upstairs bonus room with full bath into a craft room, game room, or a private space for guests! Enjoy a cook out on your rear deck, which includes a retractable awning! If you've always wanted to learn more about history - you can drive down to Second Street in Lewes in about 10-1 minutes and become immersed in the Lewes Historical Society - join and become a docent at one of the museums and enjoy what Lewes has to offer! Stroll over to 1812 park and sit on a bench and enjoy the images in 1631 when a dutch ship sailed into Lewes and the "first town in the first state" was born. Or go to the Lewes Beach & Cape Henlopen State Park! And don't miss out on jumping on the Cape-May Lewes Ferry for a day trip! Don't feel like leaving home.....there are plenty of activites at the Clubhouse right here in Nassau Grove - play a game of MahJogg, Canasta, Mexican Train or even friendly Poker! Or watch a movie in the theater! Have a Pot Luck in the Lounge Area! Or take a refreshing dip in the pool! Don't wait....this home is a must-see today!